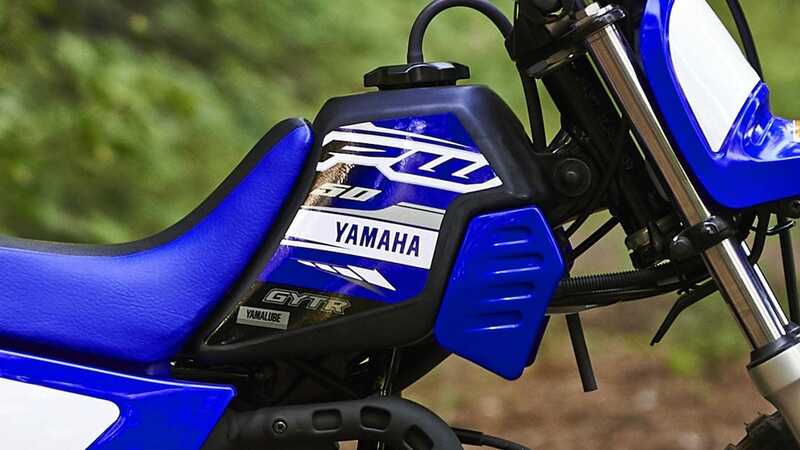 When it comes to kids' mini-bikes, Yamaha is the clear leader. 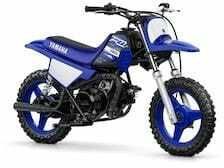 With the PW50's rider-friendly design it's easy to see why this 50cc 2-stroke is a firm favourite with kids and parents. 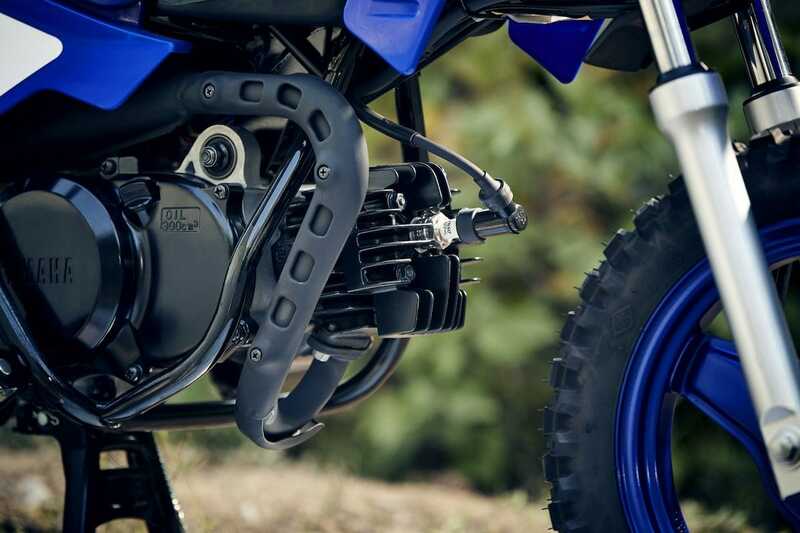 Safety features include an adjustable throttle which allows parents to limit top speed to suit the rider's skill level - and the enclosed shaft drive reduces maintenance chores. And there's no gear shifting to worry about, its zippy 50cc 2-stroke engine drives through a fully-automatic gearbox for simple 'twist-and-go' performance. At just 39 kg, this lightweight and compact mini-bike is the ideal way for your child to have hours of fun while developing their riding skills. Every parent wants to give their kids the best things in life. 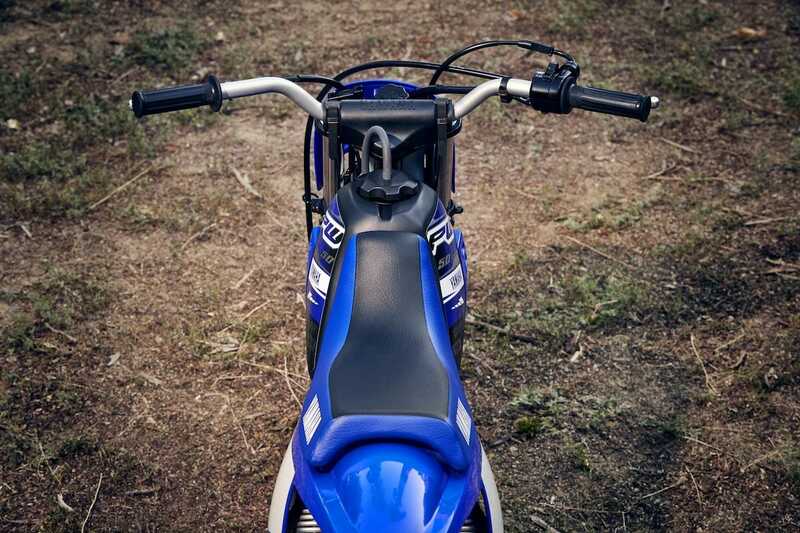 And there's no better way for your child to start out on two powered wheels than with the PW50. 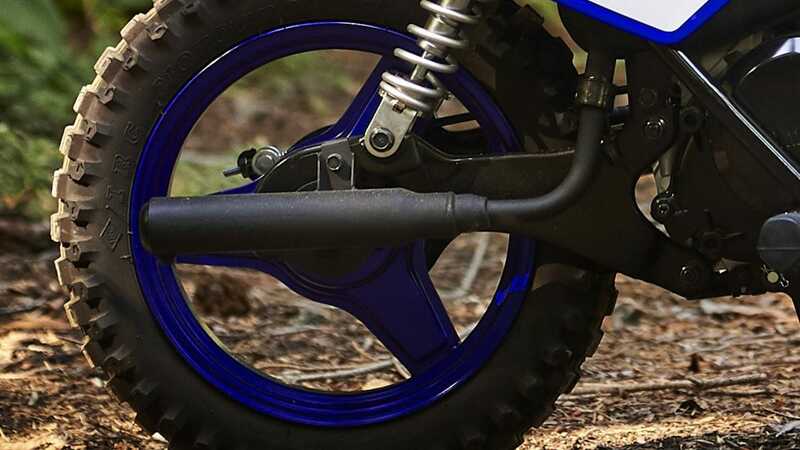 Yamaha have led the way in mini-bike design and manufacture for over 25 years, and a closer look at any of our junior bikes shows why we're still the leading choice. 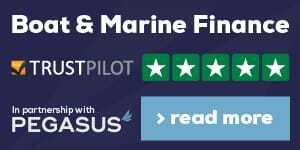 Aimed at complete beginners, the 'twist-and-go' PW50 benefits from a range of safety features and rider-friendly designs which make it the ideal choice for new riders. And with its low-maintenance technology backed up by Yamaha quality and reliability, this stylish mini-bike is so easy to own and maintain. Always wear a helmet, eye protection and protective clothing. 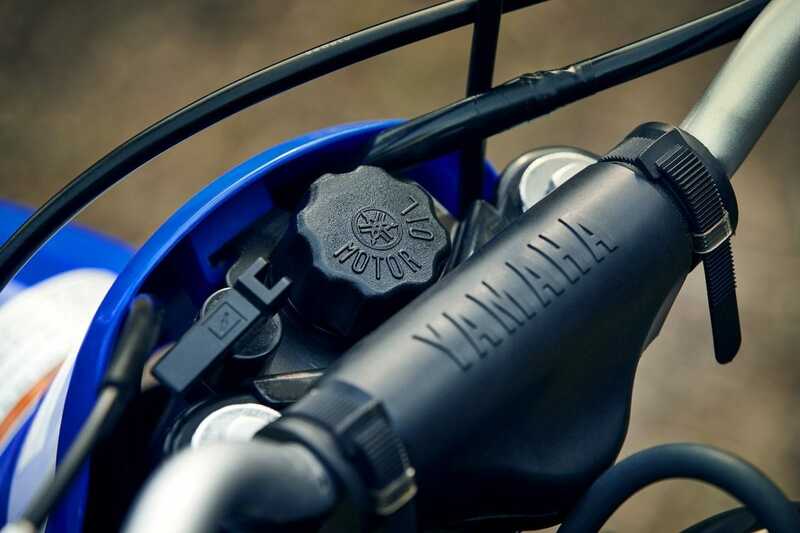 Yamaha encourages you to ride safely and respect fellow riders and the environment. Specifications and appearance of Yamaha products shown here are subject to change without notice and may vary according to requirements and conditions. For further details, please consult your Yamaha dealer. Parents who are new to the world of motorcycling needn't worry about mechanical matters, because clever design makes the PW50 easy to own. 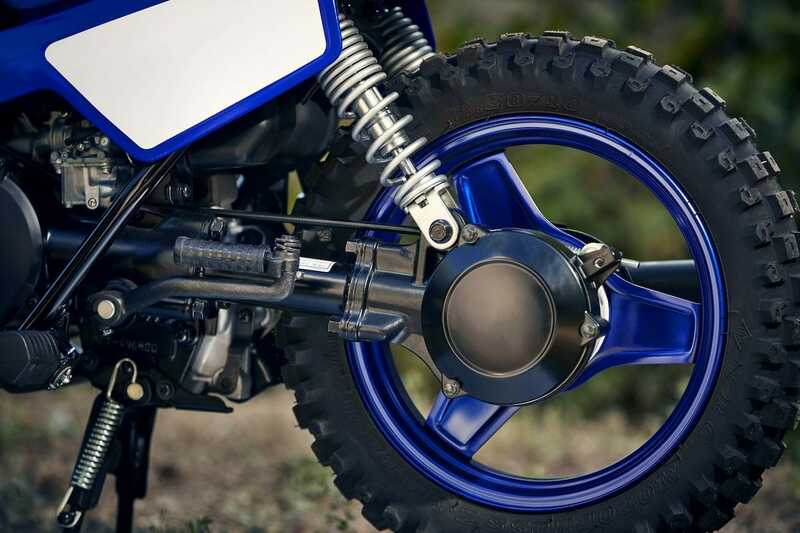 A separate 2-stroke oil tank means you don't need to pre-mix the oil and fuel, and the easily-accessible engine, strong steel wheels and shaft drive require little routine maintenance.